You have noticed that your loved one has been declining physically, emotionally, or mentally. You know some changes need to occur to help them maintain a quality of life without becoming frailer and perhaps suffer an injury. But how do you have that conversation? Maybe you are the child and would never have dreamed of being in a position where you need to highlight to a parent their changing ability levels. Maybe you are the spouse whose hopes for the golden years are looking a lot less sparkly. Whatever the case, these are high stakes, emotional times and if handled well you can get through them with your relationships still intact and maybe even stronger than before. Conversations about a decline in ability level are so difficult for a variety of reasons. First off, these conversations often involve not only the person who is experiencing the decline but also siblings and other close relatives who all look at things with different perspectives and frequently have different motives. We must acknowledge that every conversation in an intimate relationship involves risk, meaning we can be completely misunderstood and we face the possibility of rejection. You may have the best intentions in the world but if your communication is not received in the way you intended, family blow-ups can result. Relationships with siblings, spouses, and parents tend to have much more emotional investment because of the time you have spent together over the years. Along with the investment in time there also comes the emotional baggage because, let's face it, relationships are "sticky." Courageous conversations tend to be emotionally draining because we must look at what is going on from the other person's point of view and empathize with their situation. To communicate effectively in these situations, we must imagine how the change in their ability level has already affected their lives and then layer on top of that the proposed changes we are suggesting and how they will make an even deeper impact. Change by its very nature is scary and human beings by our nature crave structure and routine. 1. Communication Conundrum: Chances are if you are reading this article you may be well past this step because it's human nature to not expect the unexpected. 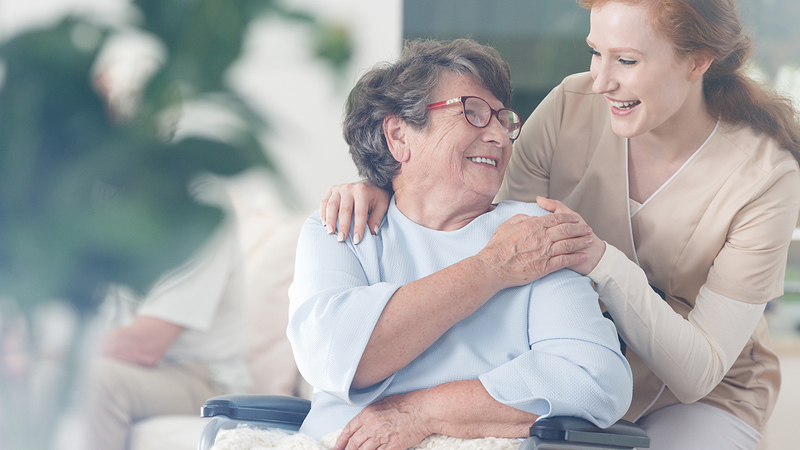 However, to avoid a lot of distress in the future, have these conversations with loved ones while they are still physically well and unencumbered about their long-term care wishes. This will set the tone for how to handle a future healthcare crisis. Talking about physical decline can be a mood killer...when should we bring up such a topic? There is no magic bullet here but some of the best times to have these conversations are times when family comes together. I am not suggesting that we talk about this the moment Mom blows out her 80th birthday candle but perhaps in the days following when family is still around. 2. Family Pow-Wow: Pull the closest and most likely to be involved family members together and ask them how they think your loved one is doing. Ask for observations. See what everyone can remember about conversations regarding healthcare wishes and financial conversations. During these exploratory conversations you will find out if Sally-or-Joe-or-Billy are at odds as to what mom said she would like. It's better to find out now than around the hospital bed in the emergency room. 3. Keep It Simple: You may have a feeling that having a conversation with your loved one about the changes in their care needs will bring out the savage beast inside. Flashbacks of a time when you were chased in the kitchen by Mom wielding the wooden spoon or flyswatter may come to mind. If bringing up these more difficult conversation topics sets off alarm bells, start with less inflammatory topics. Try to ask open-ended questions generally about how in a "perfect world" they would like to live out the rest of their lives and then move to deeper questions but try to keep it at a high philosophical level, like, "if you found yourself unable to care for yourself the way you do now, how would you like to live out your life?" It's so important that you not put your personal views on how you would like to live out your life on them or how you think they should live out their lives. Sometimes communication has never been great in a family and that is when hiring someone such as an aging life care professional might work well to help provide guidance and support. 4. Openly Display Respect: Family dynamics are so complicated. Keep respect front of mind. Give credit where credit is due. Maybe you are explaining to the matriarch of the family who is almost a centenarian that her 70-year-old son is terminally ill and will die before her. Praise her for raising such a strong family. Let her know what the care options are that you have researched and give her some control. When talking to the person who needs the additional help, validate the loss your loved one is going through. Tell them that you can only imagine what it is like to be faced with bringing an outside stranger into the home to help provide very intimate personal care. Tell them you are sorry they have to leave the home they birthed every child in. Make them realize and truly feel that you understand that they are experiencing loss. Let them know you are a partner in their care and that together you will find the best possible solution. 5. Care Enough to Listen Carefully: "Active listening" is the best tool to make your loved ones know you understand them. This works in every relationship you have: work, home, you name it! First you must pay attention and I know that is easier said than done. We live in a world completely full of distractions. On top of that, how do you calm your mind when you are already feeling stressed about the intense nature of the conversation? You probably have a million thoughts swirling around but it is so important to really focus on the conversation. To do this you need to look at the person directly, squirrel those distracting thoughts away - maybe even have a little notepad nearby where you can write down thoughts, so you can then refocus on your conversation. Try not to form your response while they are still speaking because you will miss out on what they are saying (even if you hear every word, they will sense they do not have your full attention). Aside from what the person is saying, also focus on what their body is telling you (body language). Are their arms crossed, are they looking down or away? These cues tell you how they are feeling. Besides paying attention you can use your body language to show you are paying attention to them. Nod when appropriate, smile when a smile is due, even offer a gentle affirming touch or hand gesture. Rephrase what the person tried to convey to you so that you can have assurance that you received the information from them the way they intended. Defer your judgement as well. If a person truly feels comfortable in communicating with you, they may share things that can come to you as a surprise. Remember, they have a right to their feelings just as you have a right to yours. Be very aware of your physical and verbal responses when they say something that goes against what you believe. 6. Get Creative: If you need a conversation, sometimes a creative approach is the ticket to get your loved one to accept help. For example, has your loved one ever before accepted help and, if so, under what circumstances? The generation of older adults that need care today tends to still respect and listen to advice from clergy or even their primary physician. If you and your loved one have always had a difficult time communicating, seek outside help with a trusted guide and adviser to help reduce stress and burden. Figuring out how to sensitively handle your concerns when a loved one is encountering age-related declines is, hands down, one of the greatest challenges you will ever face. Doing so reverses a long-standing power structure, and it can be uncomfortable. This is especially the case if your loved one is having trouble accepting the fact that they need assistance. The old adage "you can lead a horse to water, but you can't make (it) drink" rings so true in complicated care situations. Understand that you are not at fault and try not to feel too guilty if your loved one sustains an injury because of care refusal. Everyone can make poor decisions, but if you see your loved one putting themselves at risk, you can get Adult Protective Services involved to provide assistance. You can't always "save" your loved ones, but if you are aware of their needs, have educated yourself on resources in the community, and continue to have conversations that empower them to make decisions with you as a partner, things should start to fall into place. If they don't, educate yourself on the process that occurs when a health crisis arises. Ask around regarding local rehabilitation and home care services. Trying to choose a care provider in the midst of a crisis makes a difficult situation much worse. Remember, caregiving is a journey and having a courageous conversation is the first step. It's important to realize when thinking about your aging loved ones that an ounce of prevention is akin to a pound of intervention. You and your loved ones will be so much better off when you are as proactive as possible. It could mean the difference between an emergent hospital stay or premature placement in a long-term care facility. If you find yourself in a caregiving situation, we invite you to join our online community of caregivers. Nicole is an ABC11 Community Influencer. If you're interested in becoming one, click here.